See our article on Instilling Compassion. By teaching children and teens to empathize, we destroy the roots of racism. Dr. Janice Cohn, Raising Compassionate Children in a Violent World (Longstreet Press, Inc., Marietta, GA). 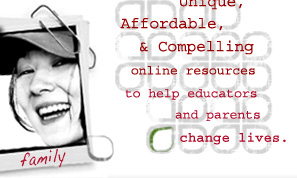 Tells what research shows about how to raise children who can empathize with others. Gives examples of how individuals and communities have combated racism and prejudice. Racism: No Way http://www.racismnoway.com.au, an Australian site that includes over 70 free games, activities and discussions for teens on racism. Also find articles, lessons, what schools are doing to fight racism, and other resources for teachers. Magenta http://www.magenta.nl/crosspoint, the place to start your research on the Web. Links over 2000 anti-hate sites in 114 countries! Well over 200 annotated links in the USA alone http://www.magenta.nl/crosspoint/us.html. Collected by a foundation that aims to "combat racism, fascism and other forms of discrimination...primarily on and through the Internet."